Alys began her training with Nadia Veselova Tencer at age 9. In this time she has danced Dorothy in Wizard of Oz, Thumbelina in Thumbelina, Clara, the Doll and Chinese in Canadian Ballet Theatres Nutcracker, The Peasant Variation in Giselle and Gamazatti and First Shade Variation in La Bayadere. Alys is the Grand Prix winner in Youth American Grand Prix competition in Orlando, Florida for 2009 and came first in the Pas de Deux with Evgeni Dokoukine dancing Don Quixote pas and Le Corsaire Pas. Evgeni Dokoukine began his training at the Ontario Dance Theatre with artistic director Yuri Vrazhkin at the age of 9. He then attended Canada’s National Ballet School in which he performed roles in The Nutracker and The Playing Field. Currently, Evgeni performs at Canadian Ballet Theatre with artistic director Nadia Veselova and at Ballet Espressivo with artistic director Donna Greenberg. His repertoire includes: Swan Lake, La Bayadere, Don Quixote, Le Corsaire, and Sleeping Beauty. Recently, Evgeni was awarded first place in the Pas De Deux division at the Youth American Grand Prix competition semi-finals with his partner Alys Shee. Sarah Clark, a student of the Academy of Ballet and Jazz, was born in Thornhill and started studying ballet at the age of four. She attended The Academy of Ballet and Jazz and was quickly taken under the tutelage of the Academy’s Director, Nadia Veselova-Tencer (Director of STARS OF THE 21ST CENTURY) Sarah has caused a sensation in the international ballet scene because of her artistry, elegance, and top marks at Youth Grande Prix international ballet competition in New York. Marina, Director of the Bolshoi Ballet School, then invited her to audition for the school, one of the oldest in Russia. Clark was one of thousands to audition, and the only accepted student from the western hemisphere. All in all, this was not only an honor for Sarah Clark, but also her family and teachers. She was one of the first young Canadians to be accepted to the Bolshoi School, and at the age of 15 she was the youngest in her class. Järvi Raudsepp started her ballet training at the age of 8 with Nadia Veselova-Tencer at the Academy of Ballet & Jazz and graduated from Nadia’s class in June 2003 at the age of 17. 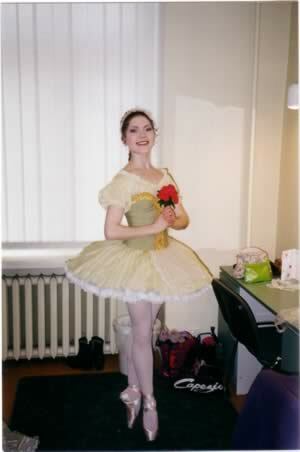 She was immediately offered a contract with the National Ballet of Estonia and left for Tallinn in early August, 2003. During her first year in Estonia, Järvi also studied privately with the well-known ballet pedagogue Tiiu Randviir (prima ballerina of the Estonian National Ballet during the 1960s and 70s). Ms. Randviir gave her the ultimate praise at the end of her first coaching session with Järvi, telling her that she had been “absolutely correctly taught” in the Vaganova method of ballet. Because of her exemplary training throughout her 9 years at the Academy of Ballet and Jazz, Järvi auditioned and was accepted into many prestigious summer programs, among them the Kirov Academy of Ballet (where she was honoured to be asked to stay for the year after her first summer there) and the Miami City Ballet. Knowing the training she received close to home was equal or superior to any professional school in North America, Järvi always chose to continue her studies with Nadia, Natasha Otcheretko, and Vladimir Ivanov at her home school, the Academy of Ballet & Jazz. She is thrilled to have launched her ballet career with her dream company, the Estonian National Ballet. Recently she was invited to dance with Orlando Ballet, FL, U.S.A. 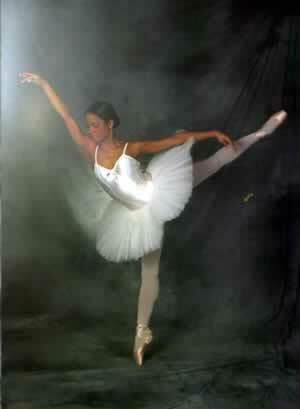 I started with Nadia at Academy of Ballet and Jazz at the age of 5. With Nadia’s great training and help, at the age of 17 I launched my professional dancing career as soloist at Columbia Clasical Ballet, South Carolina. Since then I have danced with Nadia’s Canadian Ballet Theatre as well as other Canadian ballet companies such as Ballet Victoria and Banff Festival of Dance. 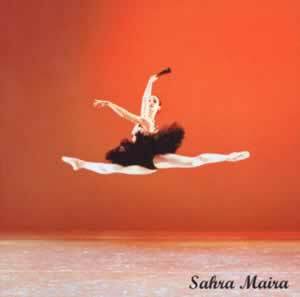 Sahra Maira first came to Aceademy of Ballet and Jazz at the age of 7. 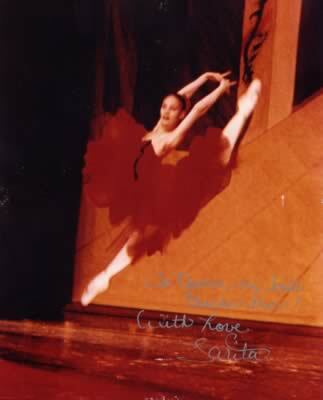 In 1998 Sahra represented Canada at International Ballet Competition – A.Vaganova Grand Prix that was held in St. Petersburg, Russia. Presently, Sahra is a ballerina at Hungarian National Opera and Ballet. Academy of Ballet and Jazz was the only professional school from North America that was invited to participate in 1998 International Ballet Competition – A.Vaganova Grand-Prix in St.Peterbourgh, Russia. 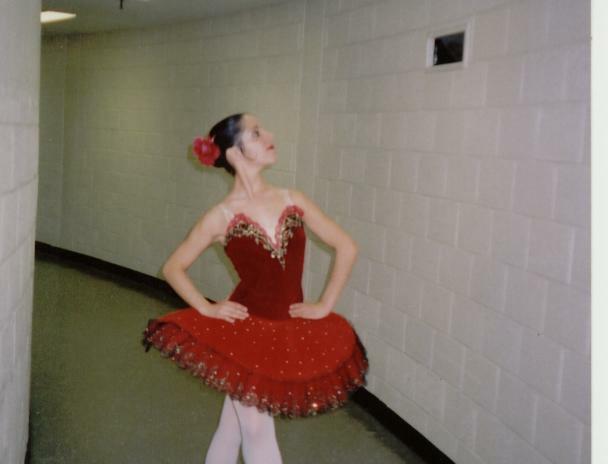 Michelle Cuoto advanced to the elite second of three levels in the competition and had the honour of dancing on the stage of the Imperial Hermitage Theatre. Ian Szkolak started in Academy of Balllet and Jazz at the age of 4 and graduated in 2004. Later accepted to John Cranko Ballet Academy (Stuttgart Ballet) graduating class. Jennifer started with Nadia at the age of 5. In early 2004 she was accepted to graduating class in Julliard Dance School, New York City. Presently, artist with Dance Theater of Harlem, New York City. Melissa started her ballet training with Nadia in 1988 at the young age of 4. Under the skilled guidance and amazing influence of Nadia, Melissa became a teacher at the Academy of Ballet and Jazz in 2001. With her patience, knowledge, and understanding nature Melissa has an innate ability to connect with the students she instructs under the styles of Ballet, Jazz and Pointe repertoire. Currently she is a full time Sociology major at York University, a teacher with Academy of Ballet and Jazz and a soloist with the Canadian Ballet Theatre. Rachel Lieberman started with Academy of Ballet and Jazz at the age of 4. At age 16, she was accepted to graduating class at Harrid Conservatory in Boca Raton, Florida. Upon graduation she was offered a contract by Colorado Ballet.